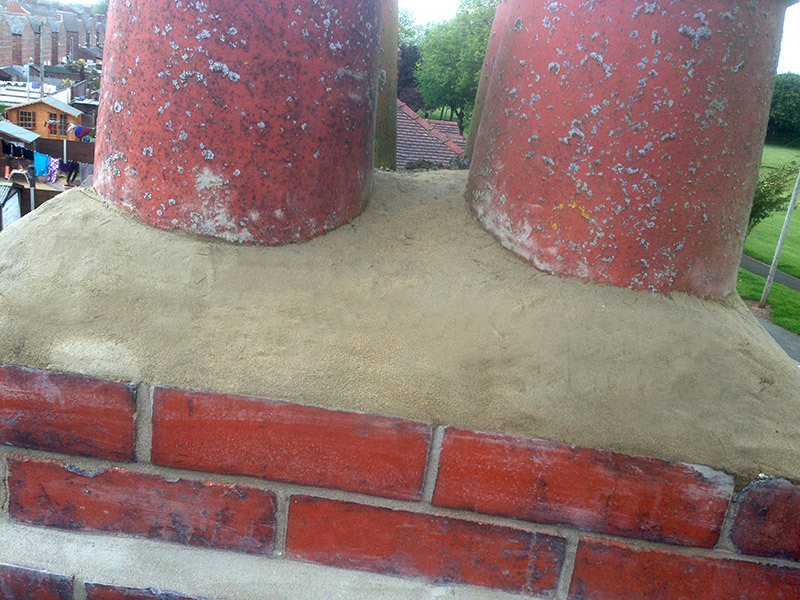 With more homes returning to the use of real fires, we are seeing an ever increasing demand for chimney stack repairs. Chimney stacks are probably the most vulnerable area of the roof so maintaining them, especially on older properties is vitally important. 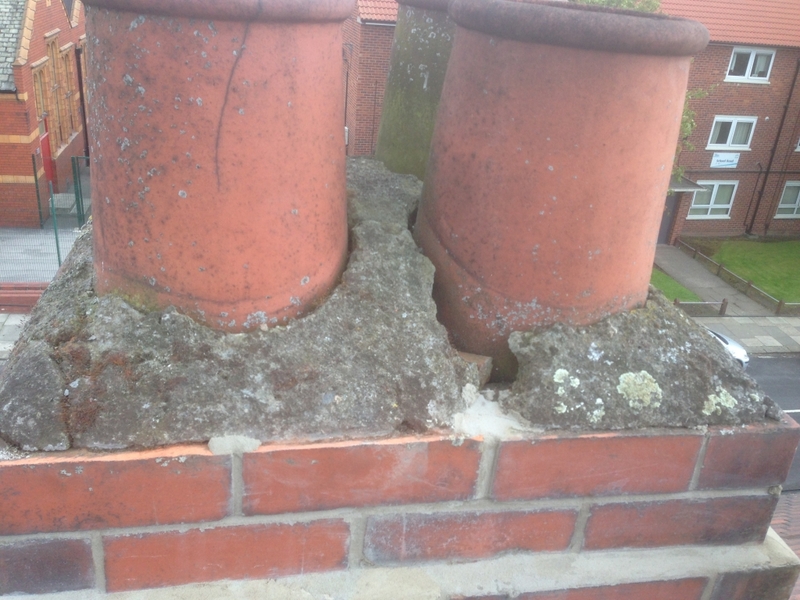 As the highest point of the roof, chimney stacks suffer the worst of the weather and weak points often develop over time especially to the leadwork at the base of the stack. 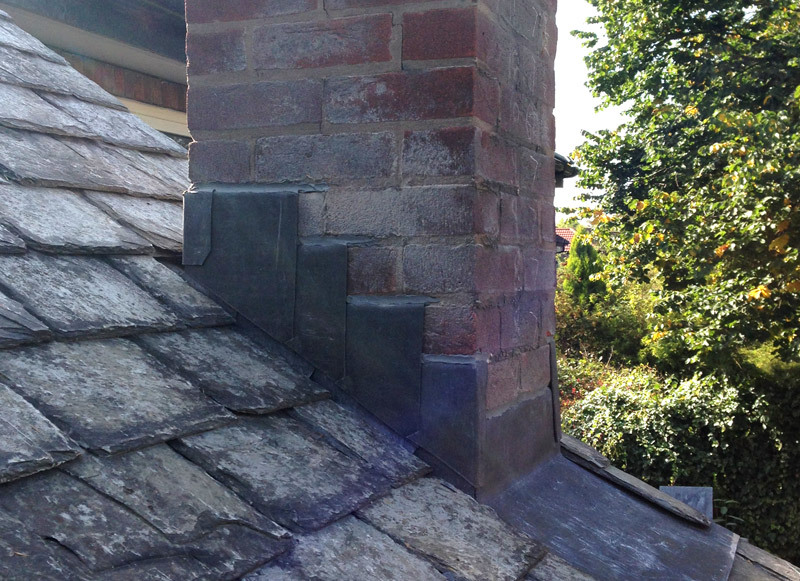 We can inspect and carry out full repairs to chimney stacks including leadwork, re-pointing and brickwork to ensure that all areas of your roof remain in top condition. We also supply and fit gas cowls and can advise you on the correct cowl for your type of fire. If you need a chimney stack taking down we can do that too ! After trying a couple of different local roofers to try and resolve this longstanding problem, we were no further on. We contacted Renown who came out and investigated the chimney. informing us that the leadwork was the problem. A new apron was fitted and we have been watertight since. Our roof repair services range from broken slates to new leadwork on all types of residential and commercial properties. See our Roof Repair page for more information. We have carried out countless re-roofing projects across Manchester. To discuss options please contact us for free advice and no obligation quote. See our Re-Roof page for more information. 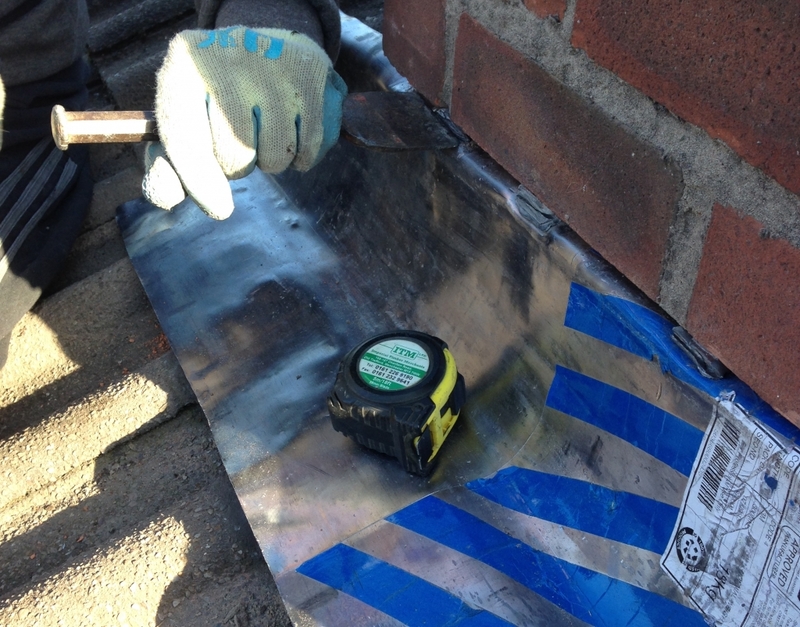 We have acquired a wealth of experience dealing with flat roofs. Contact us for advice and a no obligation quote or see our Flat Roof page to find out more. Keeping your guttering clean and free from blockages will prevent water damage before it happens. Call us for an emergency fix or full replacement. See our Guttering and Fascias page for more information.